I have been very closely associated with Prime Minister Narendra Modi for nearly 13 years now. However, my association was always limited to PM Narendra Modi and was never with the BJP – in fact, I have never even visited the party’s office in Gujarat or in Delhi. But I got acquainted with the top BJP leadership when they graced my organisation’s event ‘Taleem-o- Tarbiyat’ as chief guests. These included Arun Jaitley, Rajnath Singh and Piyush Goyal and many more. Many BJP-ruled states have agreed to give land to Maulana Azad National Urdu University for building campus – which will ultimately benefit Muslims. My experience over the years has assured me that PM Narendra Modi is neither communal nor anti-Muslim; and I will continue to believe this, unapologetically. I also maintain that in the past 4.5 years, the BJP hasn’t done anything overtly and covertly anti-Muslim. Any good or bad decision of this government has done equal damage or good to all the communities, rather indiscriminately. And the introduction of the triple talaq bill – which happened to be a much more watered down version of what was initially being proposed – is also commendable. That said, there are some things that disturb me. The unbridled fringe elements of the BJP are going completely unchecked today. The fringe voices who have taken centre stage were not nearly as emboldened in 2014 as they are today. Leaders like Giriraj Singh, Sadhvi Pragya, Uma Bharti, Sakshi Maharaj were not as vociferous in their vicious speeches as they are today. It is these unfettered motormouths who will drown the ship of the BJP, unless they are reined in by PM Narendra Modi immediately. Also read: What explains the Muslim silence in the face of BJP’s aggressive Hindutva? Last year, I even told a very senior BJP leader that I struggle to understand the BJP’s business model. If the BJP government was anything like an astute businessman, the party’s strategy would have been remarkably different. Things like religion never feature in a baniya businessman’s approach because he or she knows that money has no colour. Similarly, vote has no colour either. When I lived in Britain, stores like Walmart and Tesco didn’t keep Halal meat earlier; but over time, they realised that the Muslim community, however small in number, is also a target audience. Thus, they expanded their reach and started keeping Halal meat. That is why I say business knows no religion. But today, the BJP is ignoring the Muslims who make up nearly 15 per cent of India’s population. This will only disadvantage the BJP. There is a stark difference between what PM Modi’s approach used to be, and what seems to be the BJP’s current approach. And I think it would be fair to say that the BJP has lost the plot now. It has lost the narrative. PM Modi needs to take charge of the situation. Otherwise the positive narrative built in the run-up to the 2014 elections and during the previous 12 years of Gujarat governance, where Muslims were equal beneficiaries of his policies, will rapidly slip out of his hands. He needs to realise that this isn’t what the people voted for in 2014. Rahul Gandhi’s reclamation of his Hinduism has also done great damage to the BJP’s politics. Through his frequent temple visits, he has successfully managed to defeat the perception that the Congress is a Muslim-appeasing party. This clubbed with the hateful rhetoric of some of the BJP members can prove to be deadly for the BJP. The Muslim community has, rather commendably, stopped reacting to all the provocations that are thrown its way. We must understand that the words of certain politicians can be very hurtful, but they are only uttered in order to provoke the Muslim community so that they react. When they don’t react, the BJP politicians cannot further this kind of politics. Muslims are a completely neutral entity today. Some years ago, many Muslims would back any candidate who had the potential to beat the BJP. But In 2014, Muslims had no incentive to either beat Modi, or to support the Congress. In fact, the BJP wouldn’t have been able to secure 282 seats in the elections if they didn’t have any support from the Muslims. Many Muslims said they have given everybody a chance, why not give one to Narendra Modi too. Today, it is not PM Modi or his government that is pushing Muslims away. It is these motormouths and their remarks that are responsible. The Bulandshahr ijetma saw a number of provocations and disturbances – but not a single Muslim even complained to the police. This is laudable. Ever since the Muslim community ceased to react to their words, the fringe elements of the BJP have lost their game. There is legal recourse available in this country, we are not living in a banana republic. A country cannot be run on ordinances. Even ordinances will have to face legal scrutiny. We have one of the finest judiciary in the country. For every threat we face, there is legal recourse. And Muslims must remain focused on education, health and entrepreneurship. These are the parameters on which we should judge any government, including the BJP. Zafar Sareshwala is the former chancellor of Maulana Azad National Urdu University. The responses from the Muslim friends to another fellow Muslim, although a moderate one is what is wrong and is likely to push the communities further away. They need to take a long, deep breath and look at the number of laws, speeches from ministers who have said or done anything against Muslims and compare that to the previous 70 years. They would realize it to be far less and as the writer pointed out benefits all Indians and not for or against a particular community. Earlier there were many organized riots, but what we have today are isolated incidents where Hindus are also victims of violence. E.g the inspector killed in UP is a Hindu. The truth is there has been lots of noise thanks to the social media and liberal news media, but the overall number of incidents and the ground level situation is better because the focus is on the economy, corruption, planning etc. Muslims should whole heartedly support BJP and not those who have exploited them as vote banks for 70 years. That will take the country as well as Muslims in the right direction. Narendra Modi is communal! You can wake up a person who is sleeping, but what can you do with a person who deliberately feigns sleep! ‘हम पांच हमारे पच्चीस’ ; ‘what can you do when a puppy comes under your car’. Did you hear any condemnation or some actions on alleged defenders of Hindutva by murdering Muslims on mere contrived suspicion. Mr. Sareshwala, Your article seems to avoid any reference to the “SILENCE” from the highest office of H.E. Narendra Damodardas Modi. H.E. Narendra Damodardas Modi had grown in stature from a CM to PM by his constant rhetoric against the minorities. Thus what is wrong if his loyal foot-soldiers tread along that same path ? Who knows – they too may get promoted like their esteemed leader. H.E. Narendra Damodardas Modi had been silent on on all incidents against the minorities since the 2015 Dadri incidents against Mohammed Akhlaq. So be it the clamour for an immediate SC decision on the Babri Masjid issue or the murder of Inspector Subodh Kumar Singh – H.E. Narendra Damodardas Modi becomes “MAUN”. This is a signal for his foot soldiers to run amok with their campaigns. So, Mr. Sareshwala, don’t be so lenient on your ex-Best Friend H.E. Narendra Damodardas Modi. Country has incurred irrecoverable loss due to childish policies of ignorent PM MODI. THIS ABDULLA HAS JOINED BJP JUST TO SHOW HIS COLOUR AT OPPORTUNE TIME WHICH HE FEELS IS NOW. THE FACT IS TERRORISTS WILL BE TERRORISTS!!! The author has failed to recognise that apart from the BJP motormouths even if they sometimes spout the obvious, the Congress and Christian groups have inspired and conspired with their political allies like BSP SP etc to agitate religious flare ups like attacks on churches, Hindu vs Muslim issues and such incidences will rise as the elections of 2019 draw near. Author amazingly fails to admit that a Christian Gandhi falsely claims to be a Hindu to fool Hindus. Isn’t such a person called a cheat? 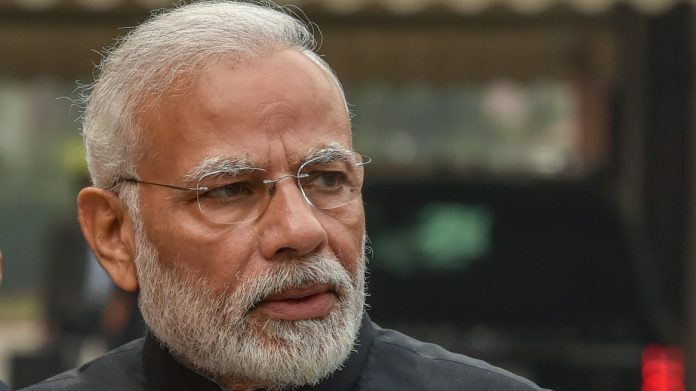 Zafar Saraswala, in fact modi is the great enemy of Muslims, so far he did not visit any of the muslim shrines situated all over India and the most reputed and famous is Ajmer Darga, where Rahul and other big congress leaders visited recently during Rajasthan elections. from this one thing is clear that modi is anti Muslims and he will never be pro Muslims being an ardent RSS guy. ; So Muslims please keep away from BJP and other communal parties like Shiv Sena etc. ये तो होना ही था. भाजपा ने एक गैर जिम्मेदार व्यक्ति को प्रधानमंत्री जो बना दिया. We should be both happy and relieved that the Muslim community is showing patience and restraint, not joining issue, statement for statement, for that could lead to a deadly spiral. At some stage, words will morph into acts, and then all bets will be off. Both because it is the right thing to do and that is the law of the land, all citizens enjoy equal rights and are entitled to the same level of safety and security. It will do the community’s self respect and esteem no good if they are told, Keep your head down, focus on your studies and jobs, ignore all the hateful things that are being said by senior functionaries. Implicit in that is the message, We are the children of a lesser god, be thankful no one is harming you physically, things could be much worse. When we become especially forgetful of what the consequences can be, think of the Bombay blasts of March 1993. Mr Modi should see the writing on the wall and prepare to go gracefully. What can one say to this kind of logic? If “the fringe element of the BJP, is letting go unchecked”, who should they be checked by, if not the BJP? Who from the BJP if not the leadership can do this? It will be mind boggling to believe that the VHP/ RSS / BJP do not have a unified vision for India. The BJP including their fringe elements are a part of this larger combine . What does the UP government’s reaction to the Bulandshahar incidents mean, if the statement by Mr. Sareshwala that “in the past 4.5 years, the BJP hasn’t done anything overtly and covertly anti-Muslim” is true? And what does the continued inaction and silence on the lynchings by gau rakshaks mean? So u want muslims to live like second class citizens in this country they will be harrased lynched abused but they should not react.